Jörn J. Burmester performed Thursday, Friday, and Saturday (October 5-7), 2017 at VIVO Media Arts. Reminiscent of an artist in studio, romanticized like press photos of the artist working among their creative chaos. Read the full review in Coming Alive: a review of 2017 LIVE Biennale Performances. Jörn J. Burmester, the 1st of 3 durational performances, is underway. Jörn J. Burmester performance. Photo by Alisha Weng. Jörn J. Burmester performance. Photo by Laura Harvey. Jörn J. Burmester performance. Photo by Saman Shariati. Jörn J. Burmester’s ALIVE workshop with Vancouver’s emerging artists was Wednesday October 4, 2017 at UNIT/PITT. Jorn J Burmester workshop at Unit Pitt. Ok with being embarrassed by own work. 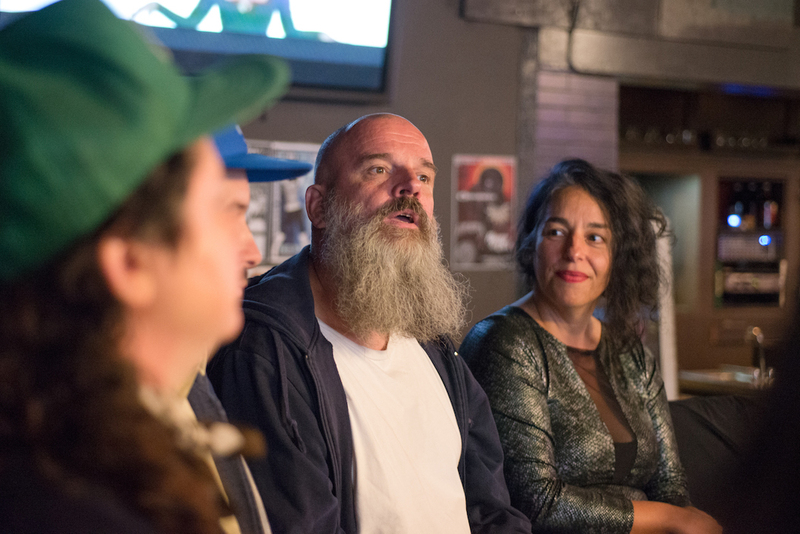 Jörn J. Burmester participated in an artist talk with Theo Pelmus and Kristin Snowbird, Praba Pilar, and Genevieve et Matthieu at Pat’s Pub on Friday October 6, 2017. Jörn J. Burmester artist talk. Photo by Bryce Hunnersen. Performance art to me is a strategy or an attitude rather than an art form or genre. I value the fact that there are no rules or techniques mandatory for performance making. The most valid definition for me is that performance art is whatever an artist claims it is. I have been claiming that certain things I do are performance art since 1997. Back then, I was heavily influenced by, but disenchanted with traditional theatre. I wanted to do my own thing, which included life presentations, but none of the hierarchy, narration, mimesis and „as if“ of traditional theatre. I wanted to create situations that feel real, to myself and to my audiences. In 2003 founded a network of local people interested in performances, and after a while colleagues who considered themselves visual artists joined. I began to think of the space we work in as an undefined area between visual arts and performing arts. Over the years my work has meandered between more theatrical and more visual approaches, heavily leaning towards primarily time and image based pieces in recent years. Still, I often include text into my works. Adding fragments of text to the often abstract images that my actions create provides an additional layer of information for the viewer to process. The text in my work is never explanatory, it is intended to open a gap between the perceived images and a string of seemingly unrelated words. To try and forge a connection can add depth to the viewing experience, but also confusion and sometimes humor, all of which I welcome. Recently I have begun to work with colors on paper and canvas as an additional tool for developing performances. Creating images to me is no end in itself, but rather an extension of documenting performative actions. Each image tells the story of the gesture and physical actions necessary for its creation. As one part of a group or a series, it also becomes part of a documentation of my thinking processes. 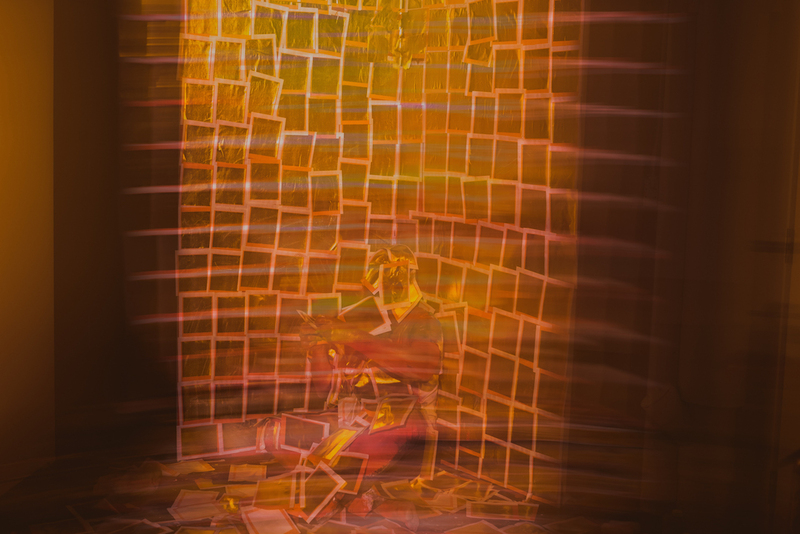 For new performances I use some of my drawings and paintings as scores for performative processes. While I often use topical research or biographical material to plan my performances, I do not claim they are „about“ anything. I try to keep them intense and multi-layered, but non-descriptive, to allow for each individual witness to determine what they might mean to them. I consider each performance a collaboration. While I strive to carefully prepare my work, there is always room for development during the action itself. Whether I use participatory elements in a specific work or not, the living presence of the spectators always massively influences what happens. The actions I actually perform depend wholly on this situation of encountering one another in the free and safe space of the performance arena, outside the confines of social conventions: Anything can happen here. 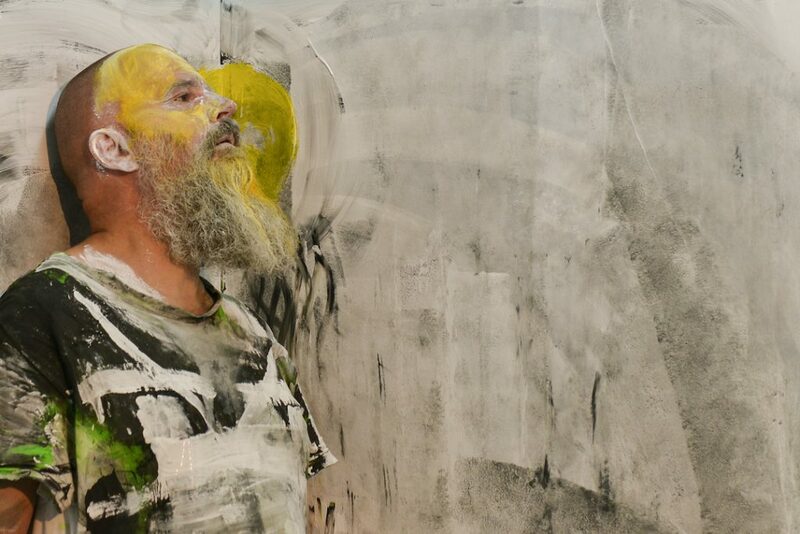 Jörn J. Burmester (b.1962, lives in Berlin, works anywhere) is a performance artist, curator and organizer. He came to performance art through independent theatre, followed by studies of Applied Theatre Studies at Justus-Liebig Universität in Gießen/ Germany and the Graduate Center of the City University of New York, graduating with honours in 1995.
performance art and combinations of art and criticism. 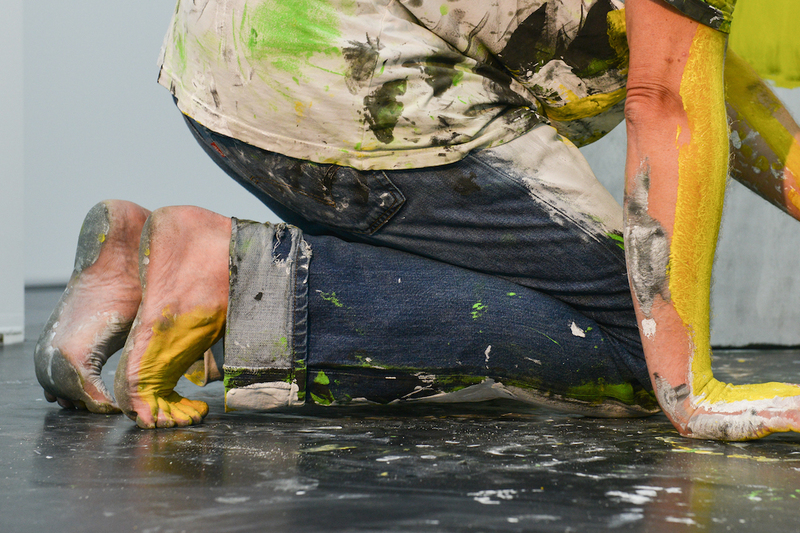 Solo pieces, which have been shown internationally, include Performance art is live. 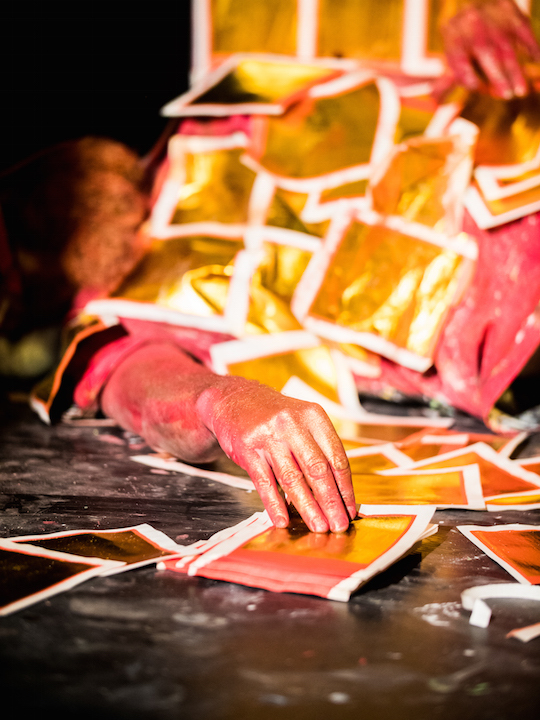 Theatre is death, Random Rants, Sorry and the performance installation Kritik der Weltmaschine. In 2016, on the occasion of the 100th anniversary of the Dada movement, he developed, produced and performed in Neo Neo DADA, an extreme cabaret-style group performance featuring 16 performers from all over Europe. Neo Neo DADA was presented successfully at Sophiensæle, Berlin and Bone 19 festival, Bern/ Switzerland. He has been comissioned to create a 24 hour durational performance in the baroque church Abbatiale de Bellelay in Switzerland in May 2016. 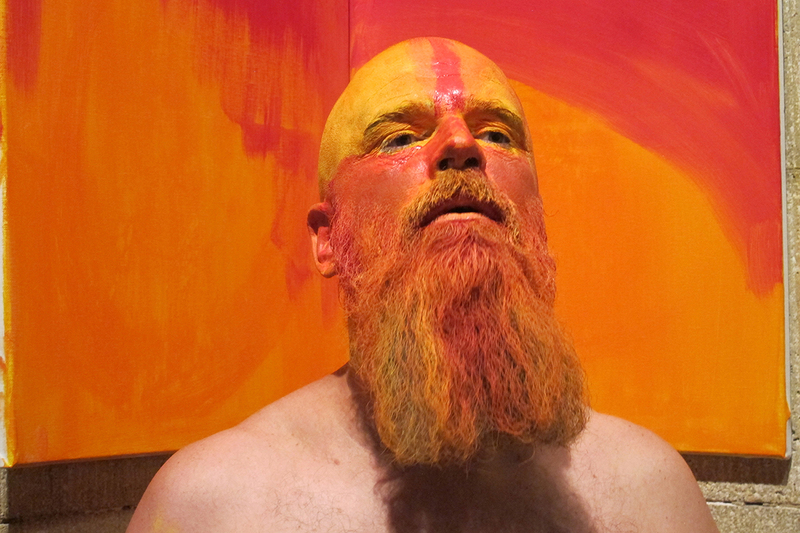 This performance will include first results of his current research in relations between the moving body, colors and spaces. Burmester was the founder and host of Performer Stammtisch, a Berlin network of performance artists (2003-2013), helped to organise the Month of Performance Art – Berlin (2011-2015), and is a founding member and was the founding president of APAB e.V., the Association for Performance Art in Berlin. 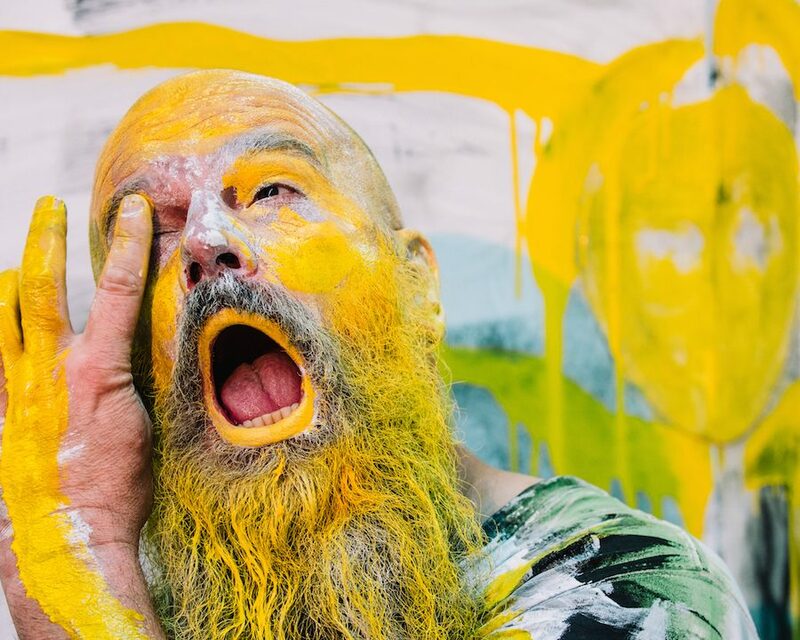 He frequently organises and curates performance events, most recently the festival Performance im Hochhaus, which took place in Berlin in December 2016 and presented a durational and a short duration work each by ten international performance artists living and working in Berlin. 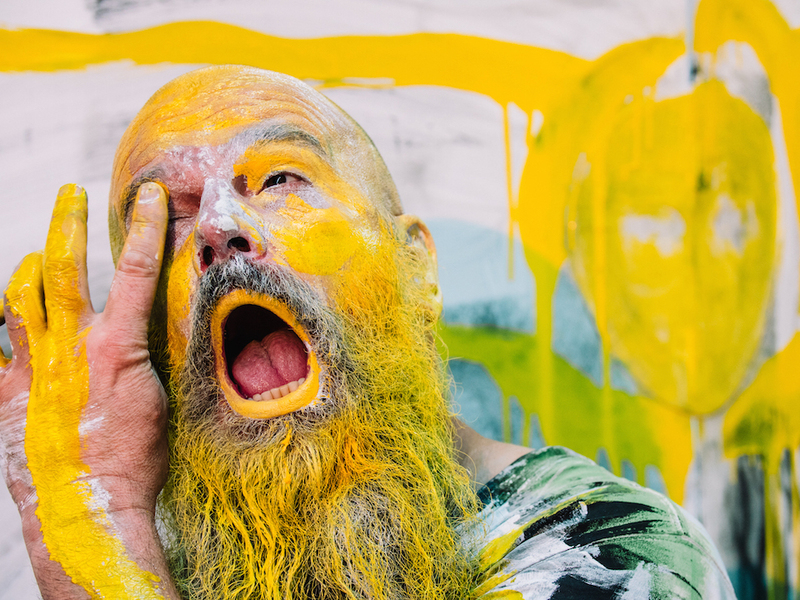 He is the recipient of several grants and residencies, including several production grants for large scale group works by the Senate of Berlin and Hauptstadtkulturfonds, a work and research grant from the Senate of Berlin in 2015, a DIVA residency with liveart.dk in Copenhagen in 2011 and a Saari residency by KONE foundation in 2013.